Vince Wilfork says watch out for Mike Vrabel as the next big thing in coaching. In 13 National Football League seasons, including 11 with Bill Belichick in New England, Vince Wilfork plowed through a slew of quality coaches — and some bad ones — along the way. He knows coaches. His thoughts on the game’s next rising star? 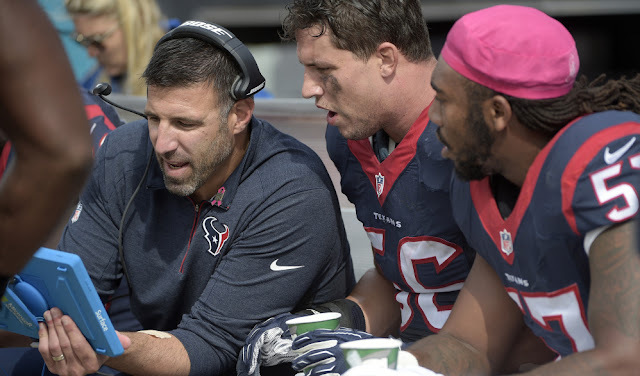 “Even when I played with Vrabel, I looked at him almost as a coach. He was so smart, hands down the smartest defensive player I ever played with. I’ve always learned stuff from him. And he’s very good at teaching. We’ve always seen things through the same set of eyes. Wilfork said that he sees a lot of another coach in Vrabel, one Bill Belichick. Wilfork notes that he is still not retired, but if he was ready to, he will make the an announcement on his terms.